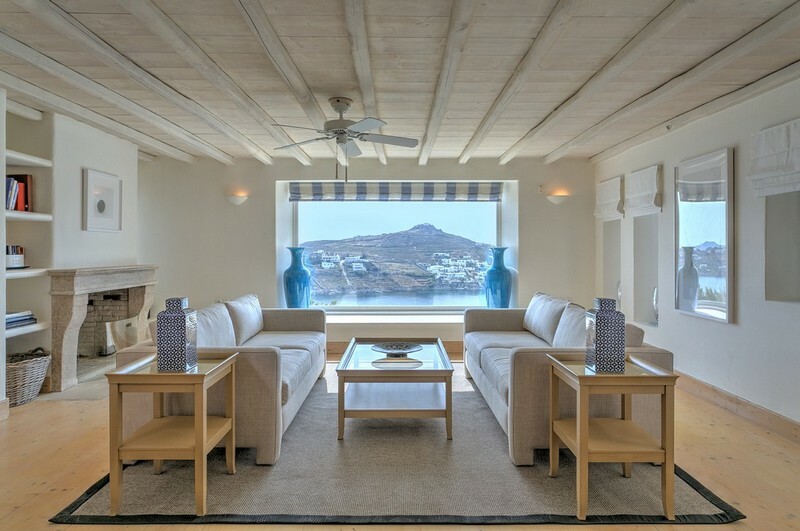 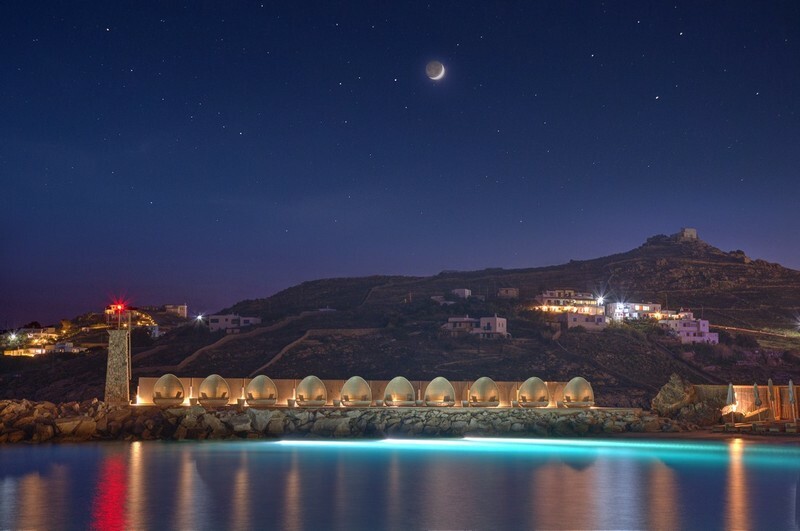 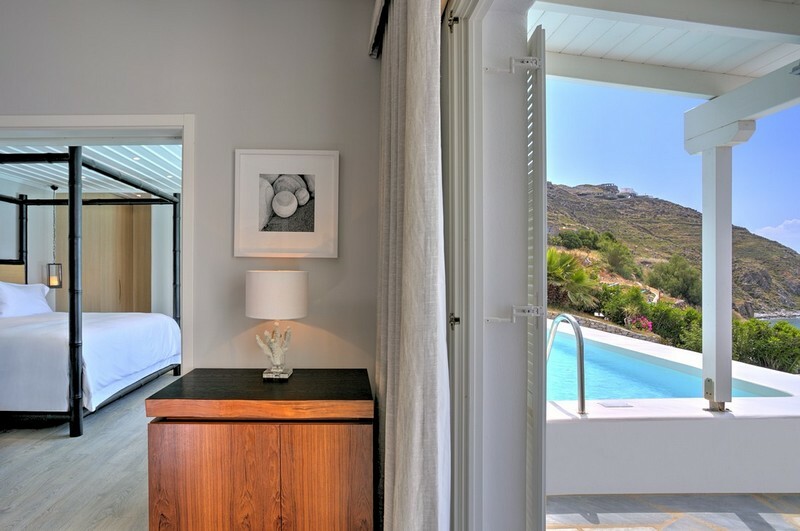 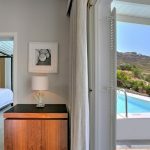 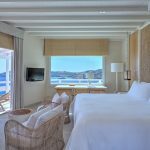 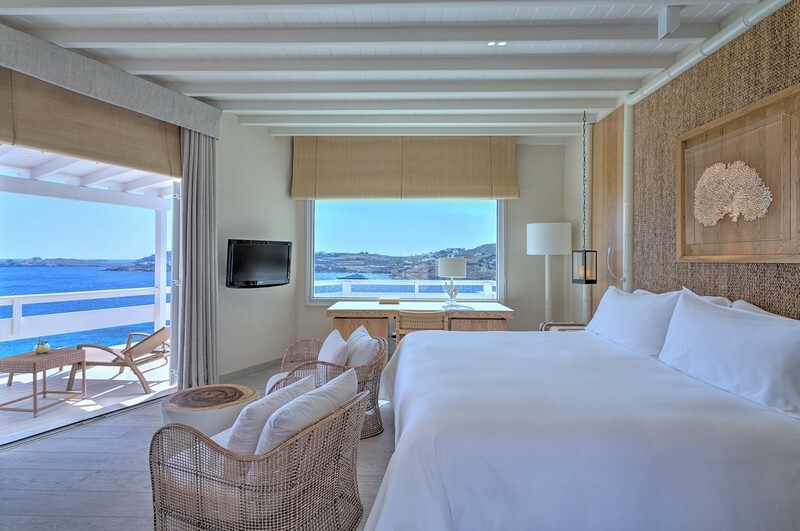 The Santa Marina Resort & Villas is a member of the Luxury Collection, and is just 3km from Chora of Mykonos at a private peninsula of Ornos; offering the ultimate cosmopolitan experience. 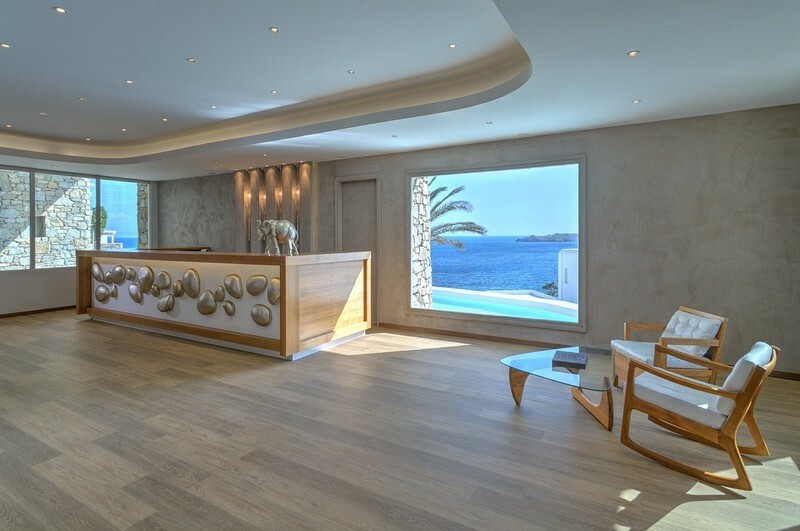 A new luxurious lobby and five suites are available to the guests, who can also enjoy the new breakfast facilities, Italian dishes at the Colonial Pool Restaurant and BBQ nights at the private beach of the hotel. 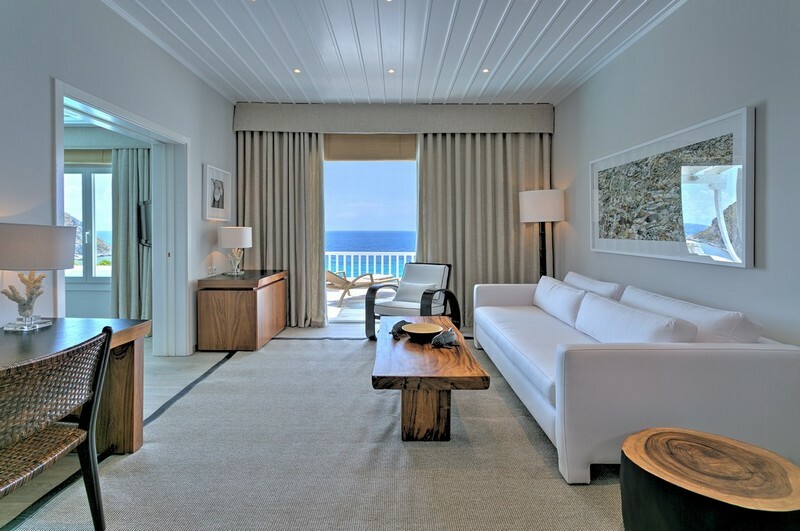 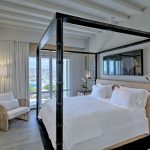 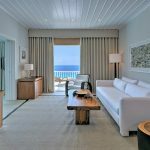 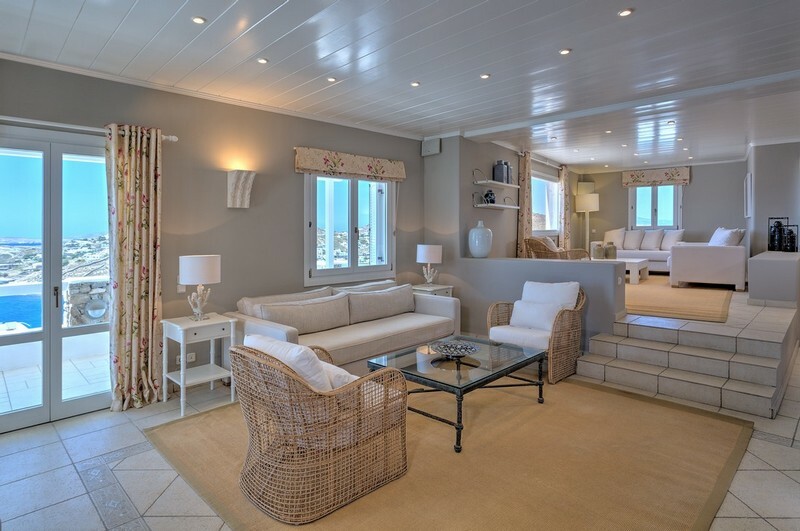 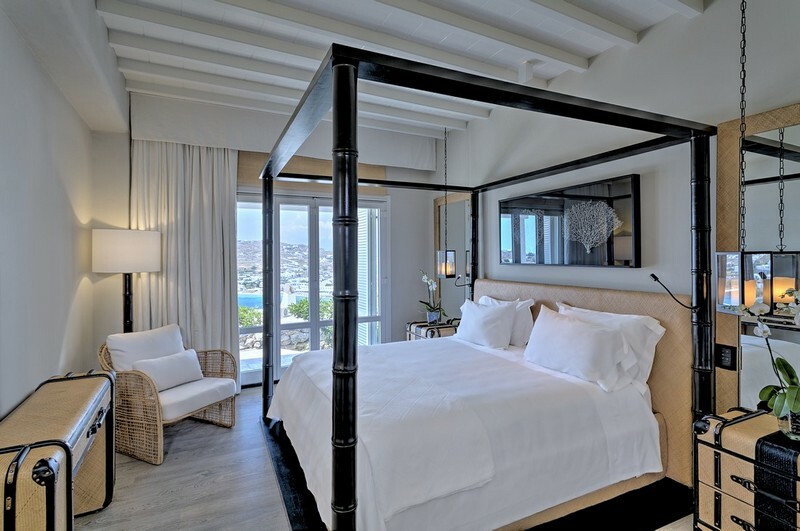 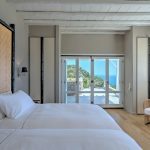 Aside from the amazing panoramic view of the sea, each of the 101 rooms and suites also has spacious accommodations, private veranda, marble bath and luxury furnishings. 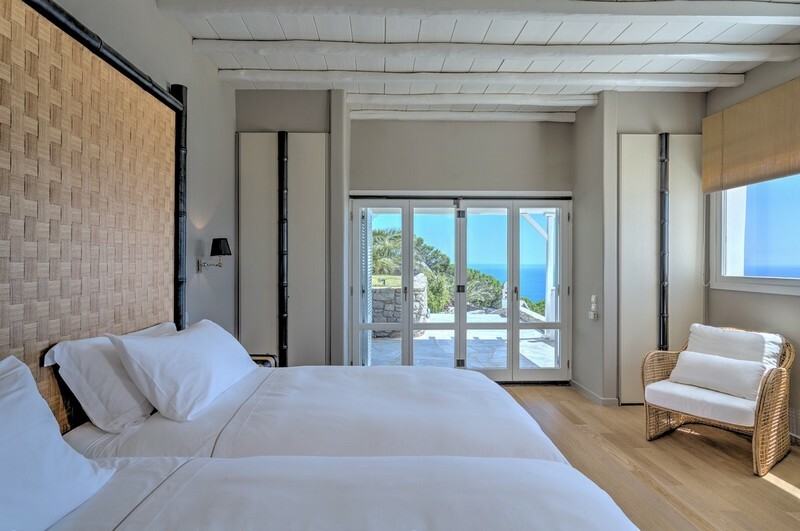 In an exclusive location, high on the hill, are 11 one of a kind villas (from 2 to 6 rooms) with the private pools and Butler Service, ideal for those who desire privacy, peace and relaxation. 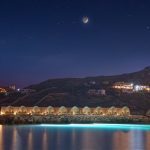 The hotel also have 4 restaurants, bars, health club, tennis court, many pools, 1 chapel, Kid’s Club for the creative and pleasant entertainment of children, a helipad, private 150m sandy beach and the Lotus Spa, where aesthetician services are offered (face and body treatments, massage, depilation, manicures, pedicures etc). 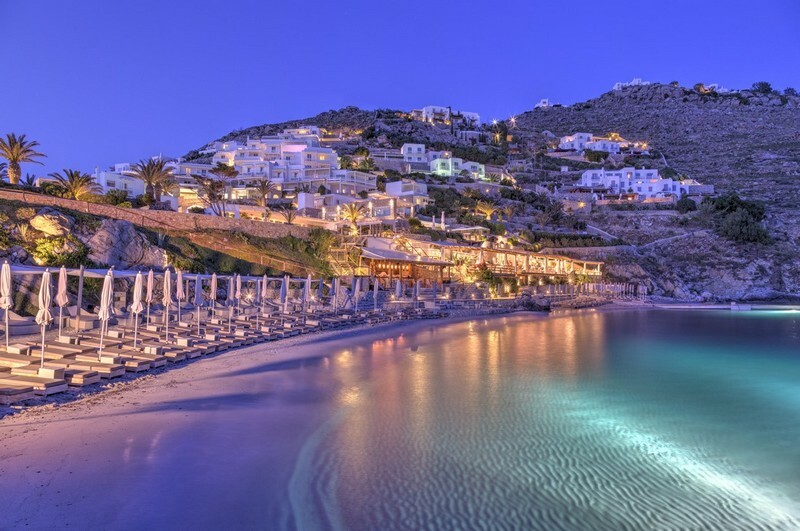 Also included in the special services of the hotel is the rental of speedboat, as well as the transport of VIP persons by private plane.